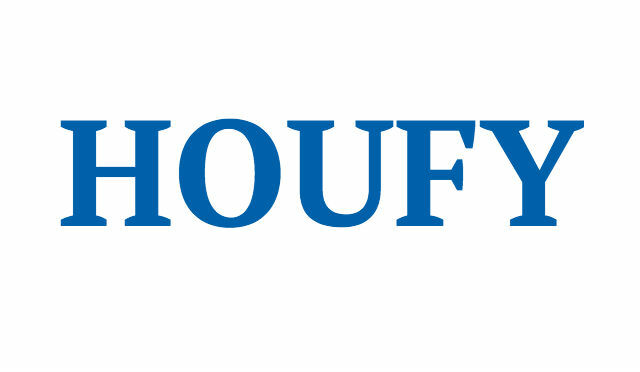 To follow Boudewijn Maurits, please log in to Houfy or create an account. The villa with its own large pool and spa and is located on a large plot in the tranquil surroundings of the new prestige development of Watersong. This gated community, fully landscaped with rich green foliage offers a relaxing retreat after the hustle and bustle of Orlando’s exciting theme parks and attractions, which BTW are only 15 minutes away. Sleeping up to 8 people in superb comfort (no bed settees to make up) this luxury villa is complete with all the modern fittings and fully air conditioned. The home itself has been furnished to the highest standard and European style. Large soft sofas and huge king size beds as well as an extremely well fitted kitchen which includes all the facilities you would expect to find at home. LCD full HD TV's, Hi-Fi, Pc and game console as well as WiFi wireless internet broadband are available for you and your party to enjoy. COMPUTER WITH HIGH SPEED WIRELESS INTERNET AND COLOR PRINTER - We have a desktop computer at the villa which is hooked up to a very fast (300mbps) wireless internet connection. It is very handy for looking up excursions or for checking those emails. We use it for hunting down great places to eat. If you prefer, bring your wireless enabled laptop and sit by the pool while surfing the net! Use of the computer and it's wireless internet connection is FREE OF CHARGE. 3 weeks prior to your arrival at the property, we will email and post you all the details of the property. These will include directions to the home, codes to obtain the keys and contact details of the property and managing agent. Crib, high chair and stroller available. Children playground at he clubhouse across the street. Parking available on drive way and in garage. Guest have free access to clubhouse with all amenities including lounge area, internet café, fitness room with full equipment, putting green, table tennis, children playground, large outside poop with spa and sun terrace. We are Rosa & Boudewijn. During our trips to Florida we were surprised about the luxury and class of the villas there. We decided to built. such a luxury villa. Important for this choice is which Resort and Location. The choice fell on the 5 star Watersong Resort in Davenport near Orlando. In consultation with an interior designer we imported furniture and decorations from the Netherlands. We enjoy every minute there and are sure you will too! A booking confirmation fixes both price and date. In other respects the owner reserves the right to make alterations without notice. A 5% charge is made for bookings paid by credit card. € 328 per week of stay or 20% whichever is the greater, must be paid within 5 days to confirm your booking. This will be confirmed by e-mail, with the outstanding balance due 8 weeks prior to the arrival date. A $360/€ 328 refundable security deposit per week of stay will also be due to be paid with the balance 8 weeks prior to arrival. The security deposit will be refunded once the management company have checked the home and confirmed that no damage has been done. You may cancel your booking at any time. Cancellation charges will apply as follows: If the balance of payment is not made in full 8 weeks prior to the commencement of the rental, we reserve the right to cancel the booking and the deposit will be forfeit. If cancelled between 6 and 8 weeks before the arrival date at the property, 50% of the full fee will be forfeit. If cancelled between 4 and 6 weeks before the arrival date at property, 75% of the full fee will be forfeit. Cancellation within 4 weeks of arrival date, the full rental will be forfeited. We will endeavor to re-let the villa on similar terms if you cancel. If we are successful in doing so, the deposit only will be forfeited. All cancellations must be confirmed by the person named on the booking form. Pool 77 degrees Fahrenheit / 25 degrees Celsius. Spa 88 degrees Fahrenheit / 31 degrees Celsius. Pool 90 degrees Fahrenheit / 32,2 degrees celsius. Spa 100 degrees Fahrenheit / 38 degrees celsius. The villa is located on a large plot in the tranquil surroundings of the new prestige development of Watersong. This gated community, in the Davenport community, is 20 minutes from Orlando Intl. Airport and 15 minutes from Disneyworld. The club house with all amenities is just across the street.